Lace up your virtual bowling shoes and hit the lanes in this online Bowling game. 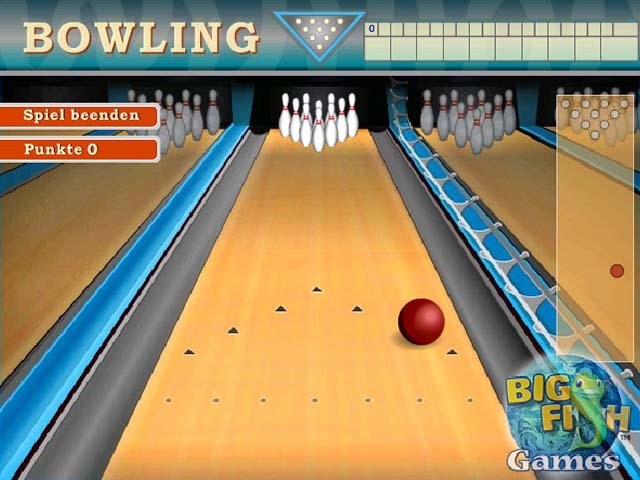 Move the mouse to aim and click to add spin.Bowling fun, without the ugly shoes!Lace up your virtual bowling shoes and hit the lanes in this online Bowling game. Use the mouse to move the ball left or right. Hold down the mouse button to add spin, just like in real life! Click to release. 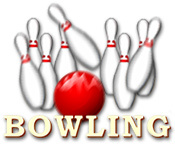 Thrill as the audience cheers you on when you receive a strike! Play a few rounds or an entire game. 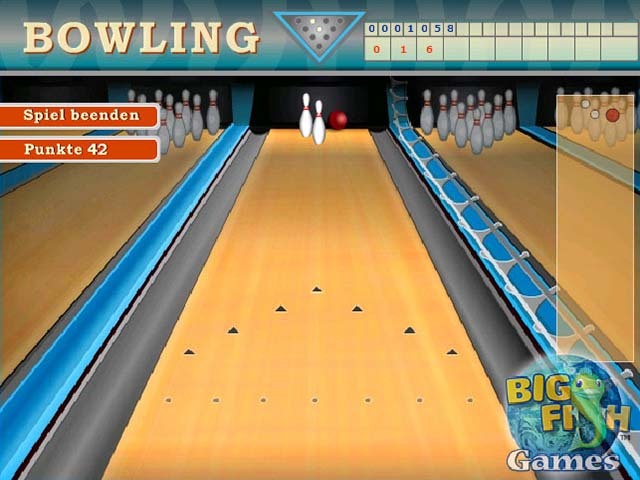 The choice is yours with online Bowling.